Adrian (aka Sid Cat) who regularly contributes to our Facebook page was passing through Stoneleigh in Warwickshire when he came across two types of prefab opposite each other, and shared them with us! The single storey Tarran prefab is currently used as a changing room, and the Swedish Timber prefab is still lived in. Jim, from Methil in Fife, emailed us about his fight to save the prefabs he lived in, in the mid 1980s. He was successful, as he still lives in his family prefab on Methilhaven Road! He also told us about prefabs in Cupar and Roslin which we have put on the map. While waiting for his brother at the railway station, he met someone who told him about prefabs in Jedburgh. 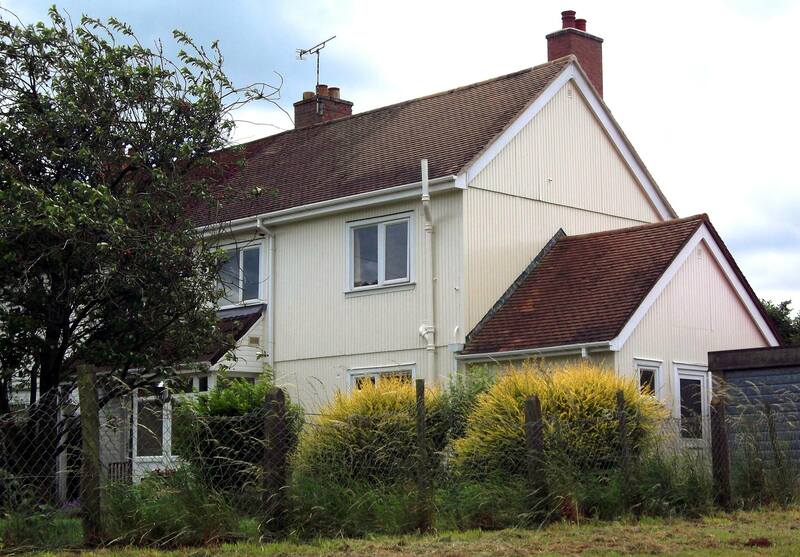 This one is like the two I lived in Springvale, Winchester. 1953-1955, 2 Mountbatten Place until I was 2, and 1958-1960, 12 Ramsay Road. They were well designed and had big gardens. I barely remember the first but still have fond memories of Ramsay Road. I loved that little house and still miss it. 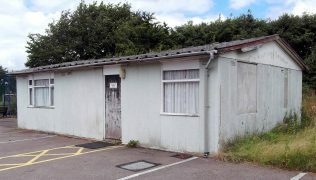 We didn’t know about the location of these prefabs so they are now on our map. 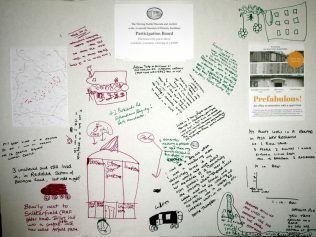 Visitors to our events tell us about prefab locations, write in our visitors’ book and on our participation boards. 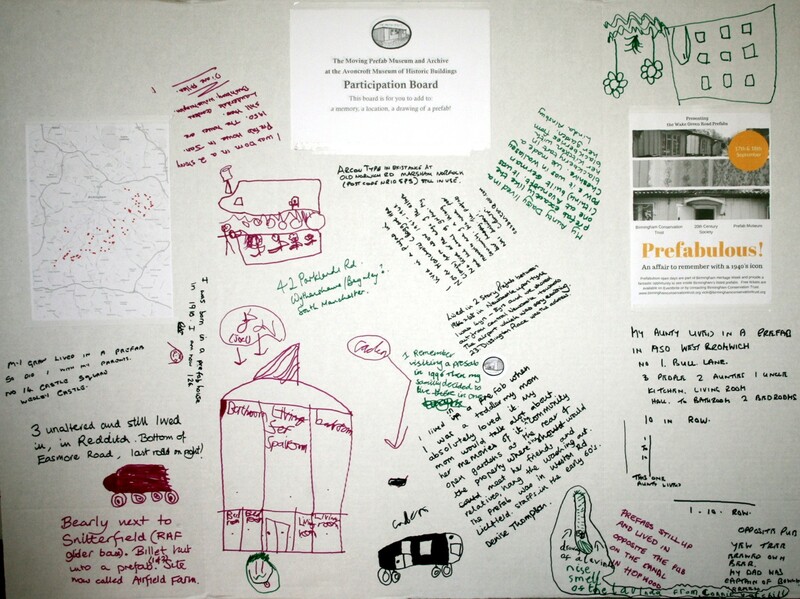 Could you be a prefab scout for the Moving Prefab Museum and Archive? Contact us at prefabmuseum@gmail.com, through our Facebook page or Twitter.